Our 2yo Ludo is going to be on the TV again soon, in a feature that focuses on his size, currently 30½lbs and 47inches. For now here are some Youtube Videos of him with slightly less production! 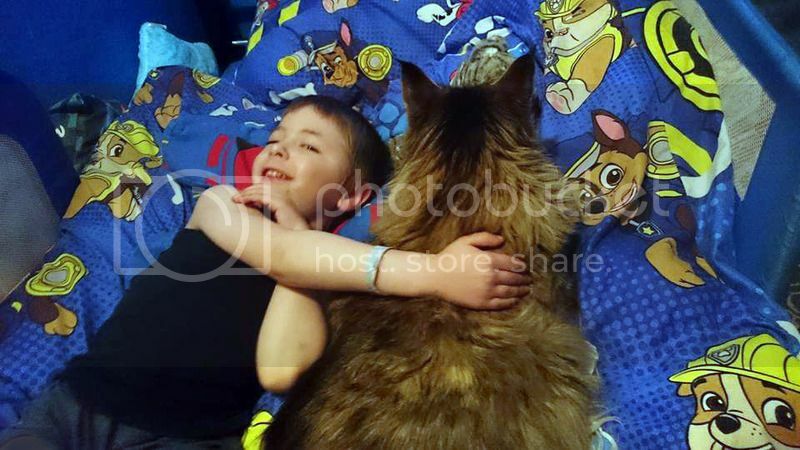 Ludo compared to our 4yo son! Our 15yo son holding Ludo! TV program that will feature Ludo on this Sunday! 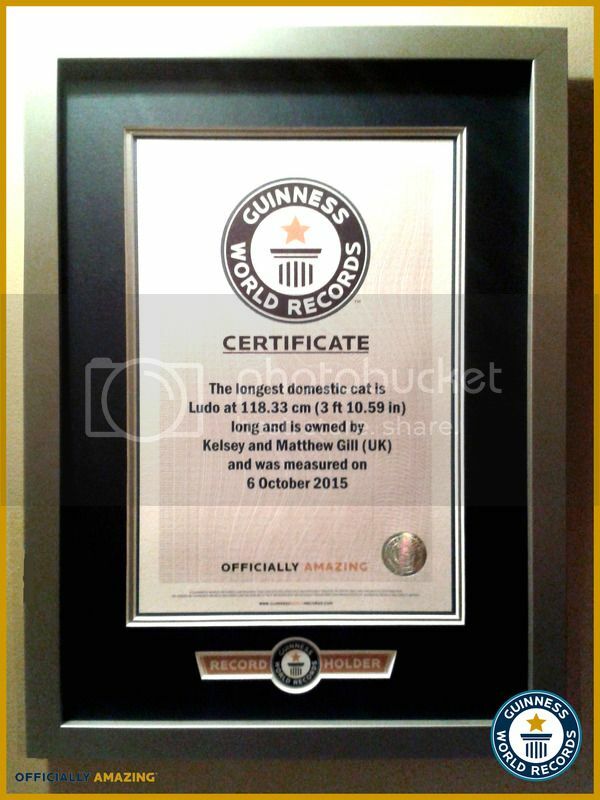 So do they go by "living cat" vs the record since the world record for longest cat was set in in 2008 at 48.5in? Teddy Bearz was 47 inches at 10 months. 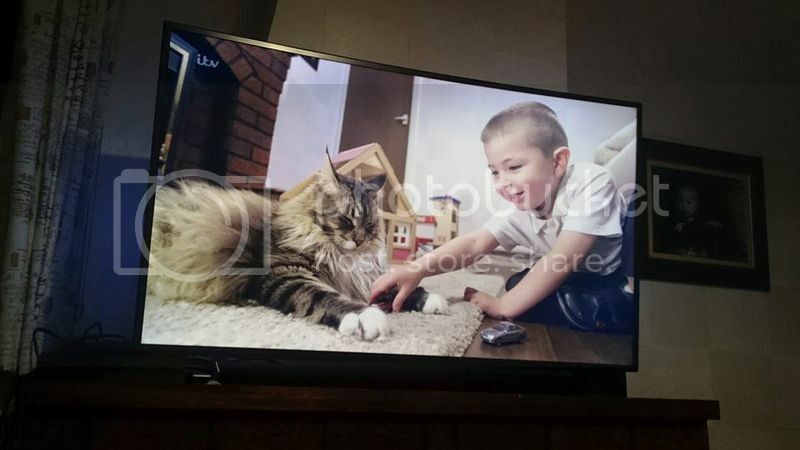 I did tell both ITV and GWR that I wanted to wait as I knew Ludo would eventually surpass Stewie but they had no record of a cat anywhere near Ludo's current length. Ludo is becoming a Mammoth, 32lbs now and potentially over 2 years growing time still to do! 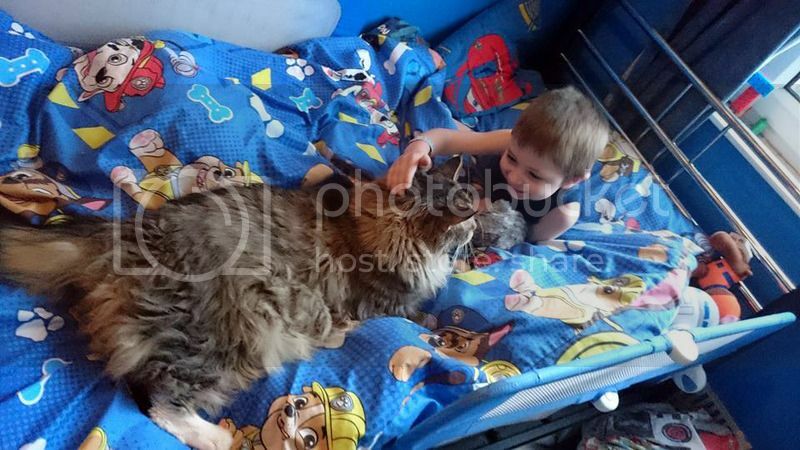 Our 4½ son wanted Ludo to lay at the end of his bed, probably best waiting until he's bigger than the cat!